Ellen Ripley and crew will join the upcoming sci-fi horror game Alien: Isolation when it comes out this fall... if you pre-order. 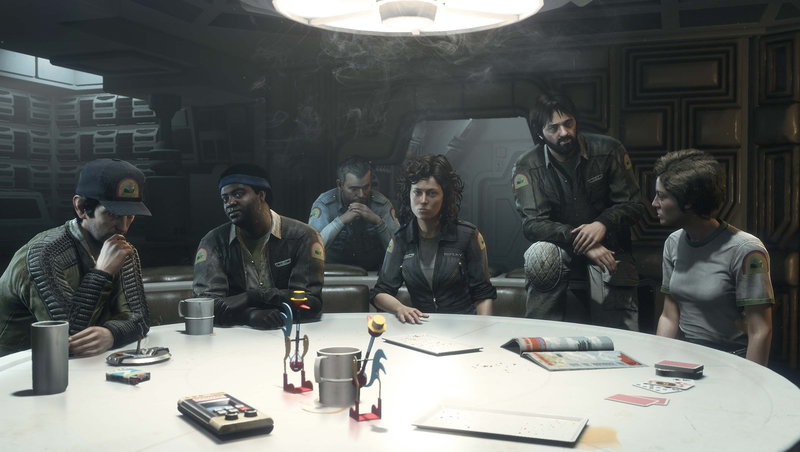 Yep, we've reached a whole new low for pre-order DLC—not content just to offer costumes and maps as bonuses for pre-ordering Alien: Isolation, Sega is now offering two bonus missions that will feature Sigourney Weaver, Tom Skerritt, Yaphet Kotto, and other members of the original cast from the Alien movie. Anyone who pre-orders the game will get a free upgrade to the Nostromo Edition, which includes the bonus content "Crew Expendable". Players can choose to play as one of three surviving crewmembers, only moments after Brett's death at the jaws of the creature. As Ellen Ripley, Dallas or Parker, players can explore the Nostromo from habitation deck down through engineering, coordinating their efforts with Lambert and Ash to lure the Alien into the ship's airlock. In addition, consumers who pre-order at GameStop will exclusively also receive "Last Survivor" in which players pick up the story as Ripley tries to escape on the Narcissus. On hearing the screams of Lambert and Parker, players must navigate their way back down through the Nostromo in order to activate the self-destruct sequence, before retracing their steps back to the Narcissus shuttle and their escape. Alien: Isolation is out on October 7 for PS4, PS3, Xbox One, 360, and PC. Anyone else need to take a shower after this news?